The Queensland Minister for Transport and Main Roads, the Honourable Mark Bailey, has said there are no changes to Queensland towing laws, as reported by the Courier Mail overnight. 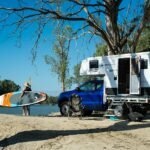 The Queensland newspaper has reported that “TOUGH new laws to be introduced by the Palaszczuk Government will stop upgrades to 4WD vehicles to allow them to tow larger caravans, boats, horse floats and work toolbox trailers.” It’s followed by what seems to be very sensationalist editorial about how all caravanners will need to upgrade their vehicle if they ever want to tow a caravan. 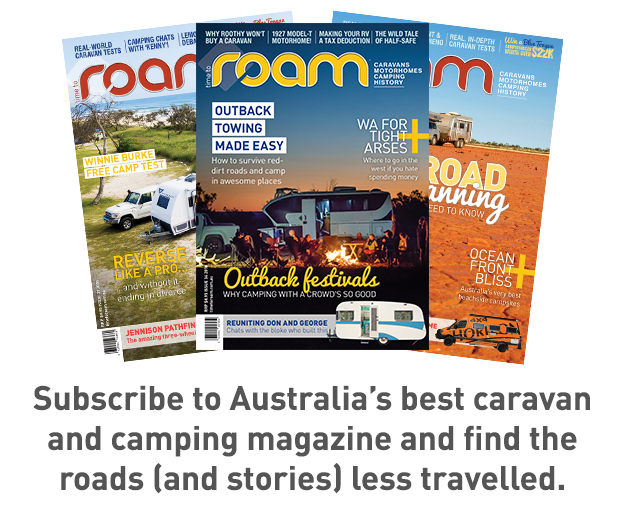 The article says, “The new laws mean any Queensland driver wanting to buy a caravan will probably need to buy a new vehicle as well.” In ROAM’s experience, that is not true. The article seems to suggest that the laws would prevent towing capacity upgrades (improvements that raise the maximum towing capacity of the vehicle) which would become illegal. 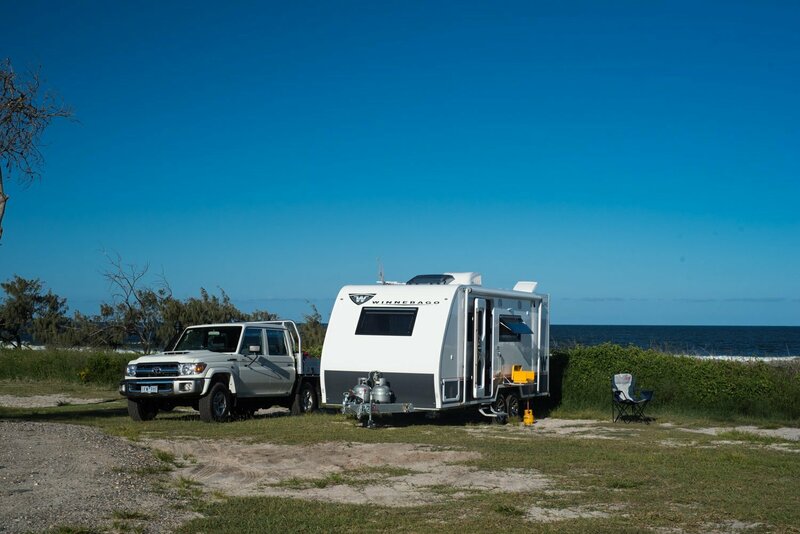 It seems to make the assumption that every caravanner tows a caravan that weighs as much as the vehicle’s maximum towing capacity and also has their vehicle loaded to it’s GVM. There’s more to this story – read our update here – What’s really happening with Queensland towing laws? So what's actually happening with QLD towing laws? Unfortunately most of the past few months have cost us a fortune with lost sales and wasted time dealing with the ongoing fallout from a sensationalist media writing all kinds of misleading articles with all kinds of misinterpretations of a few legislation changes. I’m sure the journalists don’t know or care how much damage this misinformation is doing to all kinds of businesses in the suspension, trailer, caravan and accessory industry. So long as they can get enough clicks to sell a few ads on the side. Myself and most of my staff have wasted most of this morning dealing with the social media sh*tstorm this has created and the ongoing effects will be huge; because most prople will only read the headline and will take it as gospel. Even if the same media outlets publish a retraction, they won’t promote it and nobody will read it. The damage is done. Thanks for putting this out there. There are still a few good media outlets. ? Well that’s a relief as I’ve spoken to a few people about it who own 4x4s like myself and they say it’s ridiculous that if it did go through it’s just revenue raising which the government is always trying to find a way and yet fail at it, the government doesn’t get what we as 4x4people or the grey nomads as they call them go through to meet the requirements of what WE want to do when we retire. This matter demonstrates just how over governed Australians are. In the UK caravans are not subjected to any form of government fees. Caravans are not registeted. The person towing the caravan is required to place a number plate on the caravan. This plate must display the same numbers and letters as the towing vehicle. Rego number plates cost about $28.00 (AUD) and can be purchased from a wide range of outlets. Many caravaners simply make their plate by painting the rego number of the tow vehicle onto a piece of stiff plastic and attach it to the van with double sided tape. It’s the big heavy caravans (or overloaded ones) that are causing most of the problems as physics means they are very hard to control once adhesion or sway occurs. Also the heavier the combined GVM the more skill the driver needs. And we don’t have the quality of the main roads they have. With their B roads often 80kmh speed or less. So the wind dynamics on winding hilly high altitude roads combined with passing B doubles on such roads makes for some chaotic physical forces. Exceptions may be where the legal and driven tow vehicle weight is significantly more than the caravan weight with a 1st class towing setup. In the UK there is a special licence test for GCM over 3500Kg. tow a trailer over 750kg MAM as long as the combined MAM of the trailer and towing vehicle is no more than 3,500kgUnquote. Still firmly believe that to tow a van over 1000kgs gross vehicle mas should do a course and a licence be given after passing the course.many people retire or decide to go vaning and the largest thing previously towed a box trailer and have no idea of break applications or controlI of the vehicle movements. Luckily for me I don’t believe anything the media say anymore unless I see it for myself. They get away with writing so much crap because they know all they have to do is put in a small well hidden retraction if threatened to be sued. I’d say sue them anyways, about time there was more truth and less wannabe reality. In all honesty it’s probably just more Juno/media owners trying to influence our perception of our politicians for some inane hidden agenda. Today we have the big announcement re the Lemon Laws for DUD Car Dealers and then the caravans and Motorhomes will be reclassified by Ms D Ath to ensure we are better protected too.Just wait ,you can bet they will hook into increasing the Regos ,and what about Stamp Duty while they are at it..Wait for the fine print now!